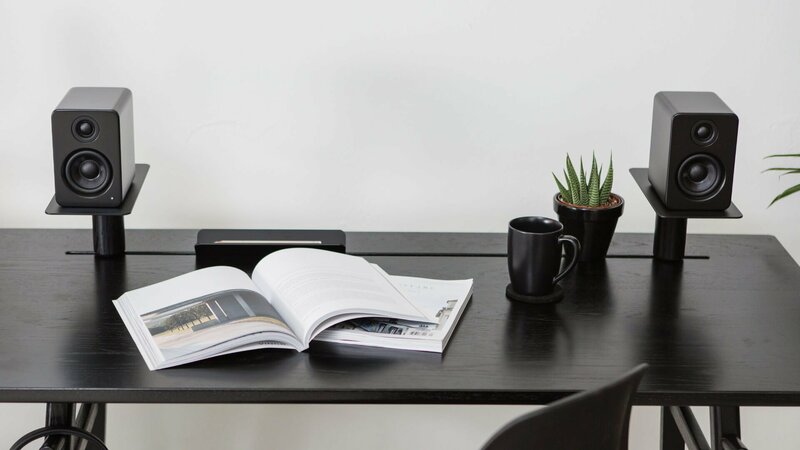 A design element in its own right, YU2 brings character and substance to your desktop. 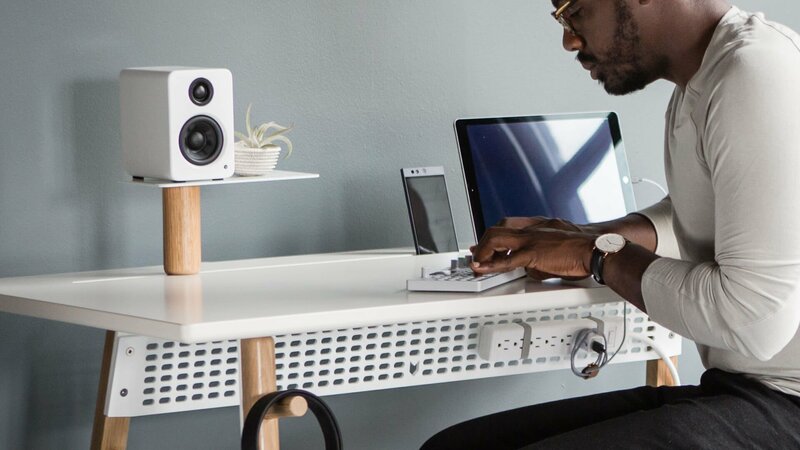 Its built-in soundcard lets you stream high-quality audio directly from your computer’s USB port, delivering sound that challenges the notion that bigger is better. Choose a color that reflects your personality and space. YU2’s 3/4-inch tweeters are made from silk to deliver a high-frequency range that’s bright and refined. Their dome shape improves sound dispersion to ensure your ears capture every sound, regardless of where you are in the room. 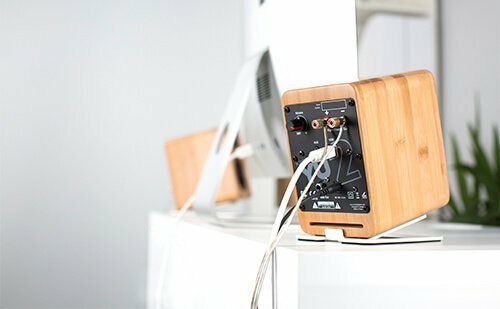 Featuring a built-in DAC, YU2 lets you connect directly to your computer via USB. 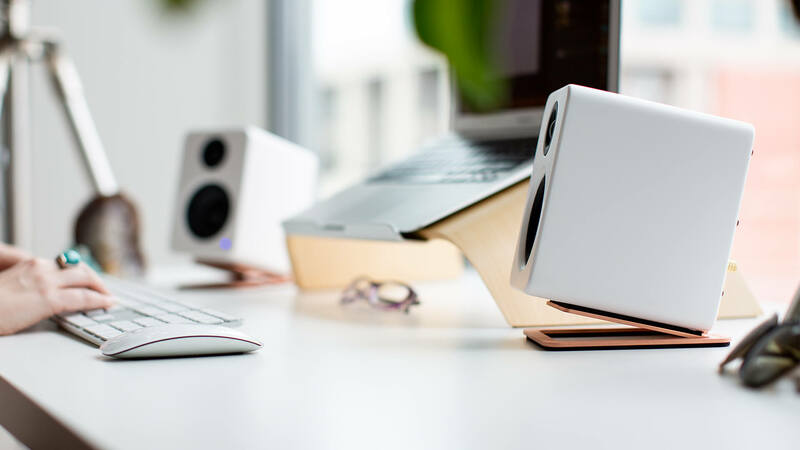 Eliminate any interference that your computer’s onboard soundcard may pick-up while enjoying a fully digital, high-quality audio connection. 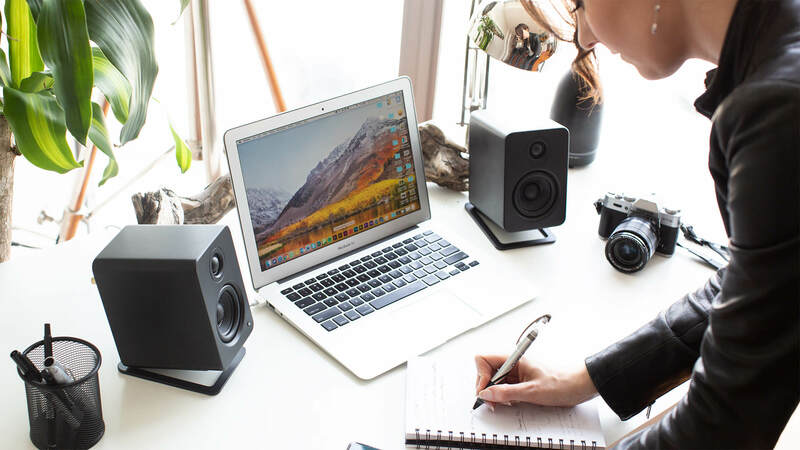 Offering 16 degrees of tilt and improved sound isolation, S2 desktop speaker stands ensure you experience the full range of frequencies your speakers have to offer. "I am quite impressed by the excellent high resolution detail of the Kanto YU2. 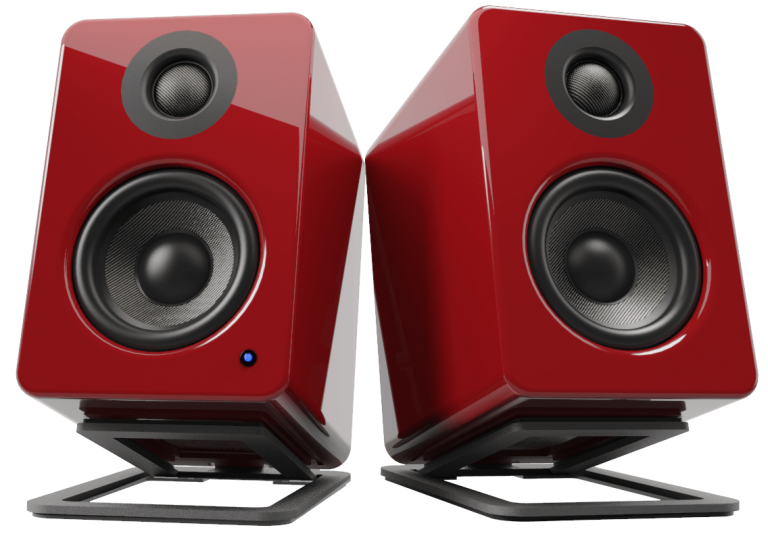 The sound is well layered, and frequency separation remains excellent throughout the range. At the same time, the precision of each layer is detailed enough for smooth transitions, creating a very cohesive setup in the end." 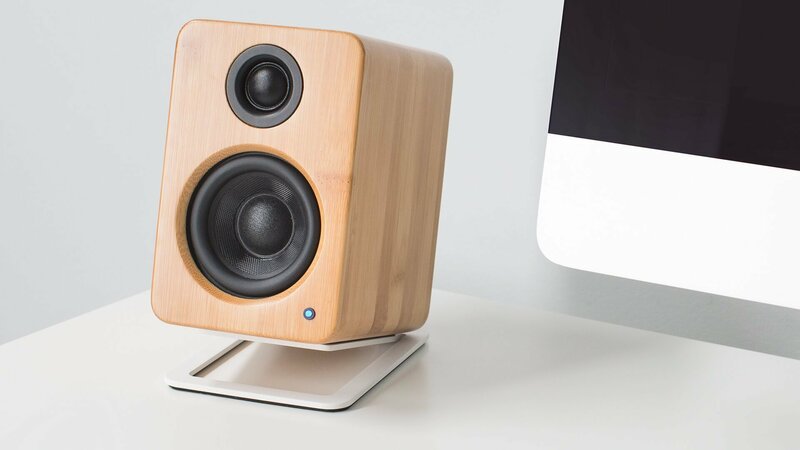 "As they were considerably smaller I had expected a sharp drop in quality and volume and that in fact never happened. 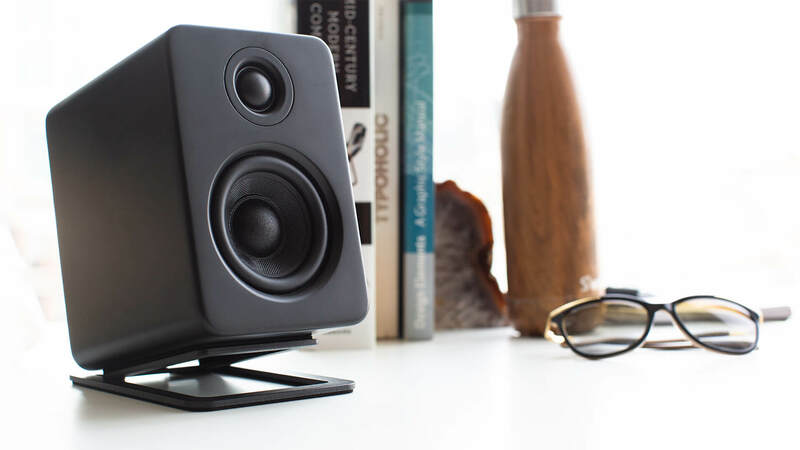 I found that even at fairly significant volumes, the YU2 speakers didn’t distort and the sound retained significant clarity." 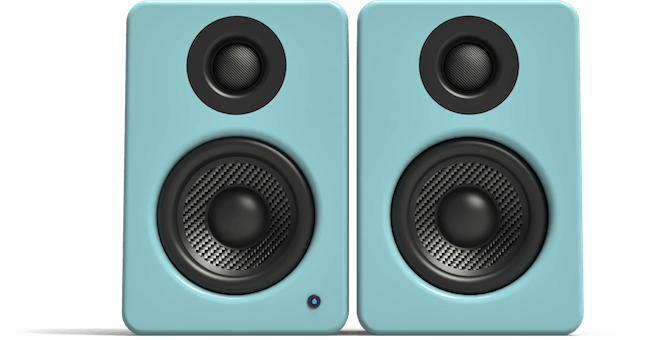 "The YU2s, on the other hand, produced highs and mids unlike anything I’d ever heard from desktop speakers: beautifully rendered, absolutely crystal clear highs that literally sounded like they were being played live right in front of me." 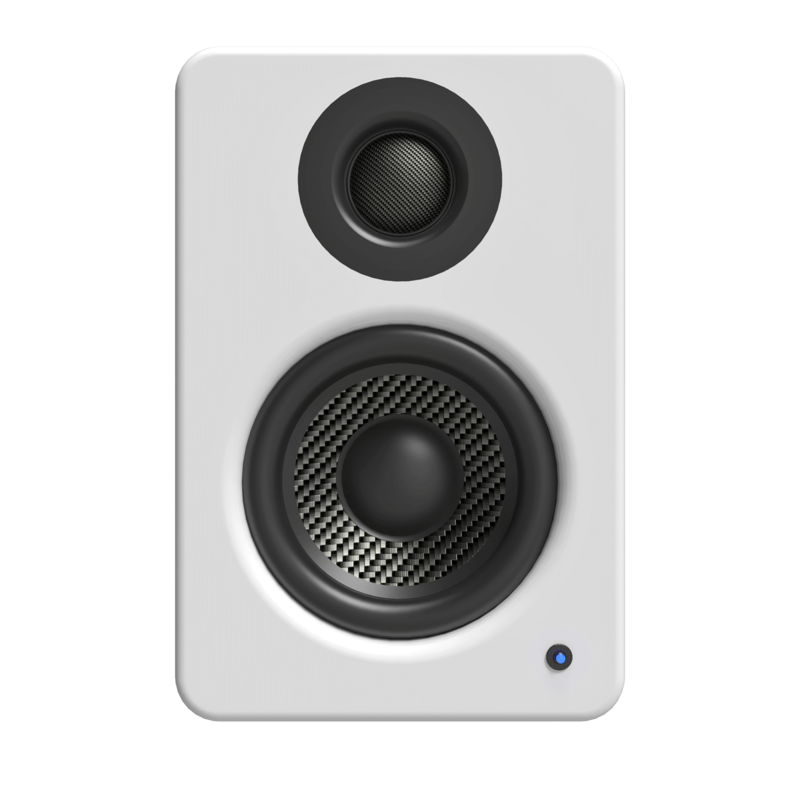 "Standing alone, the YU2 produces a very nice warm sound, but as you would expect, due to the small size, it is lacking in bass. Luckily, the YU2 has a subwoofer out, allowing you to add one of the Kanto subwoofers to fill out the bottom end.."